Looks like Rob Zombie is prepped and ready to close out his trilogy. Following in the blood-stained footsteps of House of 1000 Corpses and The Devil’s Rejects, the prolific filmmaker has now fired up production on the third film in the series, which we can confirm will be titled The Devil’s Rejects 2: 3 From Hell. That latest scoop comes courtesy of the first set pic, which Zombie shared on Instagram along with the caption: It’s all true! Day One shooting Three From Hell! The murder and madness continues. It’s not much, only showing us a chair on set with the film’s title, but it does signal that production is now underway and we couldn’t be more excited. 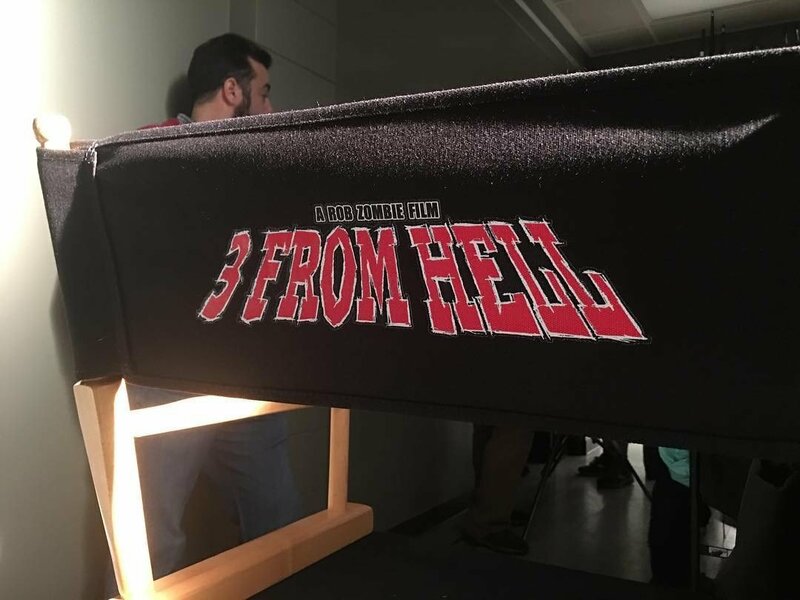 Perhaps the most interesting thing here is that the 3 From Hell subtitle might just give us our first clue as to how the titular trio returns after meeting their end in the last film. As has been speculated, it appears that Otis, Baby and Spaulding are truly the Devil’s rejects, with Satan himself spitting them back out of Hell and onto Earth. Sure, if this is what ends up happening it’d be a bit of a supernatural turn for what’s been an otherwise grounded series up until this point, but it’d still be kinda cool to see, don’t you think? Chalk that up as speculation for now, but if one thing’s for certain, it’s that The Devil’s Rejects are neither dead nor forgotten, and it appears Rob Zombie is ready to resurrect his doomed Firefly clan for another horror-tinged adventure. We’ll be keeping a close eye on this project as it begins to coalesce, but with production now underway, it shouldn’t be too much longer until we have some real, tangible info for you to sink your teeth into. As always, stay tuned for more.